If you’re anything like my family, this warm weather and shining sun has the beach calling your name! As you’re gearing up to dig your toes in the sand, the right tools can make all the difference. Lucky for you, at Magpies we’ve stocked up for the season. First off, we have to brag on the Tech Candy Dry Spell case. Technology and water don’t always play nice, but these cases make that a non-issue. Tech Candy makes awesome water-tight pouches for smartphones and tablets that not only protect devices from moisture, but allow you to scroll and text through the products’ durable plastic. On top of that, these cases float! Check out our video here. What’s a beach trip without a cold drink? 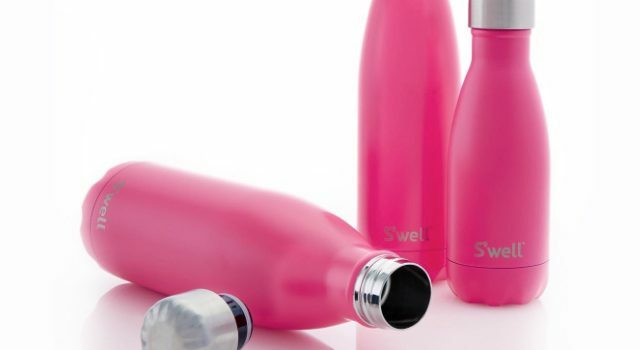 S’well bottles are a great go-to when you’re looking for a spill-proof way to keep your beverage cold, even in the Texas sun. Pick out your favorite color and take it up a notch with a personalized monogram! You’ll be sippin’ in style in no time. Ready to ditch the water and catch a few rays? We can help there, too. Our Royal Standard towels can’t be beat. Not only do they dry MUCH quicker than terry cloth varieties, making them lighter to carry around, but with bright colors and fun designs, they’re awfully cute. We hope these finds provide a bit of inspiration for your next seaside excursion. Oh, and one more thing — don’t forget the sunscreen!